In 1980, during the Geneva Motor Show, the German car manufacturer presented to the public its new two-door coupé called Audi Quattro. Produced for all the '80s the Italian name chosen by Audi (Quattro is the Italian word for “four”) ine was pointed out the main feature and the most important selling point : the four-wheel drive. It was the first time that the 4x4 solution was adopted on a coupé with the goal to achieve high numbers in terms of production and sales on the market. 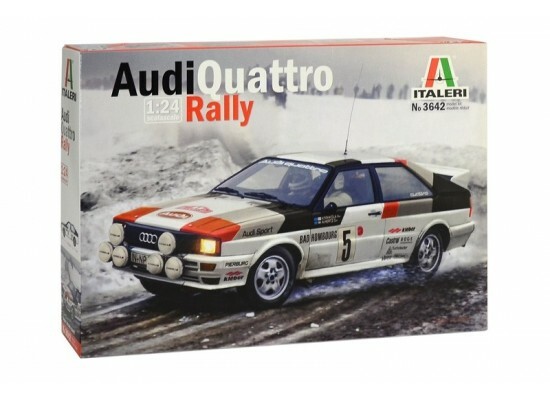 The Audi Quattro was able to release good driving performance, thanks to its frontal longitudinal engine, and very good reliability on all type of road conditions. From the mass production a dedicated car for competitions was developed on 1981 and it debuted in the World Rally Championship, achieving good results. The success of “Quattro” cars is still existing today in fact the name has become a real “brand” that identifies all the range of Audi’s four wheel drive production.